Sharing these news from Narthaki portal. BN&WWW is saddened by the passing of two senior artists; Smt. Shyamala Mohanraj (74) and Smt. Jayalakshmi Alva (81). Our deepest condolences to their respective families. Shyamala Mohanraj (1941-2015), senior most student of the legendary T Balasaraswati, passed away in the early morning hours of July 14, 2015 in Chennai. She had been ailing for several months. She is survived by a son. Shyamala was a sensitive and outstanding interpreter of the abhinaya tradition made famous by her guru, the iconic Bharatanatyam performer and musician, T Balasaraswati. For several years, Shyamala retreated from the performance scene until she was coaxed into returning by some students and scholars of the traditional form. 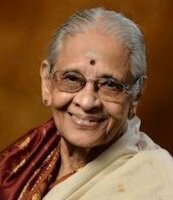 Senior Bharatanatyam Guru Jayalakshmi Alva (81) a student of Dandayudhapani Pillai, Swarna Saraswati and Mylapore Gowri Ammal passed away in Mangalore. Among her celebrated students are Sonal Mansingh and film actress Waheeda Rehman. We thank Narthaki and YouTube user Alex Mecwan for uploading this docmentary ‘Atma Dasi’ on Smt. Shyamala Mohanraj. ← Bolt as a metaphor!